Cozy recipes for the cold season. A delicious hit of morning energy: These pancakes can be made quickly—and eaten even faster—thanks to their delicious combination of bananas and hazelnut spread. 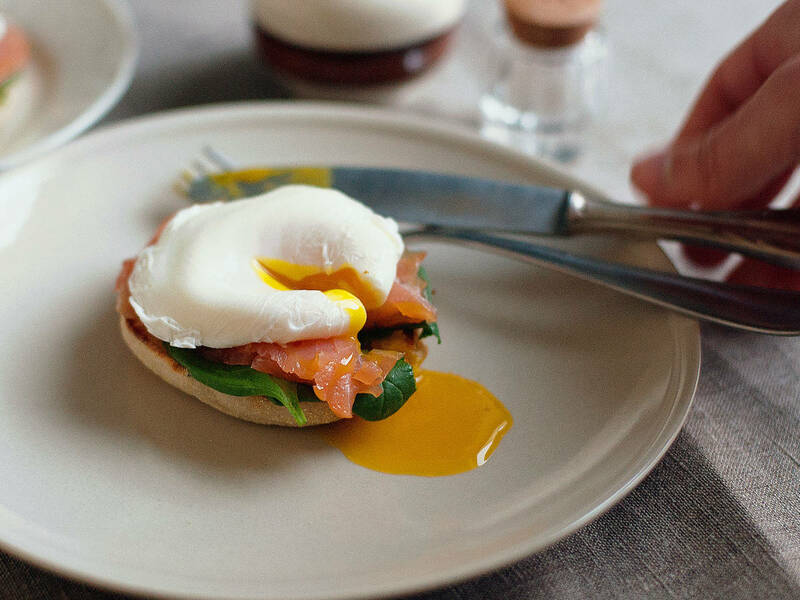 A classic brunch dish that certainly makes an impression: The smooth hollandaise sauce brings the flavors of the salmon, spinach, and eggs together perfectly. It doesn’t get more delicious, or simple, than this. From your gluten intolerant cousin to your neighbor’s child and your lazy friends, the smell of these fudgy brownies will have people lining up at your door for brunch. Superfoods—super tasty, super simple, super quick. It’s hard not to use superlatives when describing this delicious latte. Not only for the monsieur of the house, but for madame as well. If we’re being honest, do you need anything more than cheese and ham in the mornings? Soup for brunch—why not? This simple and nutritious soup will warm you up with its spicy notes. Perfect for a chilly morning!